Two months ago, Simply Stacie was honored to be invited to a special blogger event held in Los Angeles for the Red Carpet Premiere of Cars 2 and advance screenings of The Help and Winnie the Pooh. The trip was a total dream come true for me; I got to experience the city that my grandparents grew up in, stay in a hotel that has been featured in many movies and television shows, and view movies in legendary theatres such as the Mann’s Chinese Theater and the El Capitan–and of course most importantly, I got to attend 3 movies that I was desperately eager to see. I am absolutely elated to share with you all that Simply Stacie has been invited to a blogger event scheduled to take place September 24th through September 26th. 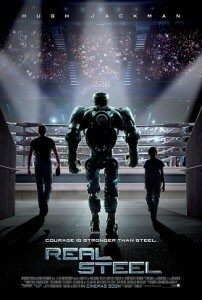 During this trip myself and another terrific group of bloggers will be seeing an advance screening of Real Steel and viewing select footage from The Muppets Movie. Additionally we’ll be interviewing talent from both movies (Hugh Jackman, Sugar Ray Leonard, Jason Segel, Kermit the Frog, and Miss Piggy), as well as receiving a tour of Jim Henson studios. I grew up loving Disney movies, and am now passing on that love to my daughter (who at this very moment is happily watching The Black Cauldron). We are truly blessed to be included on this trip, and cannot wait to share with you photos, exclusive interviews, and so much more. If you could ask Jason Segel, Sugar Ray Leonard, or Hugh Jackman any question about The Muppets Movie and Real Steel, what would you ask? That’s so exciting! What a wonderful trip that’ll be! Maybe I’ll get to go one day in the future! who knows?! Thanks for all your information you put on your blog! I’m new & I may not remember everything but with your helpfulness I’ll try to get it right!